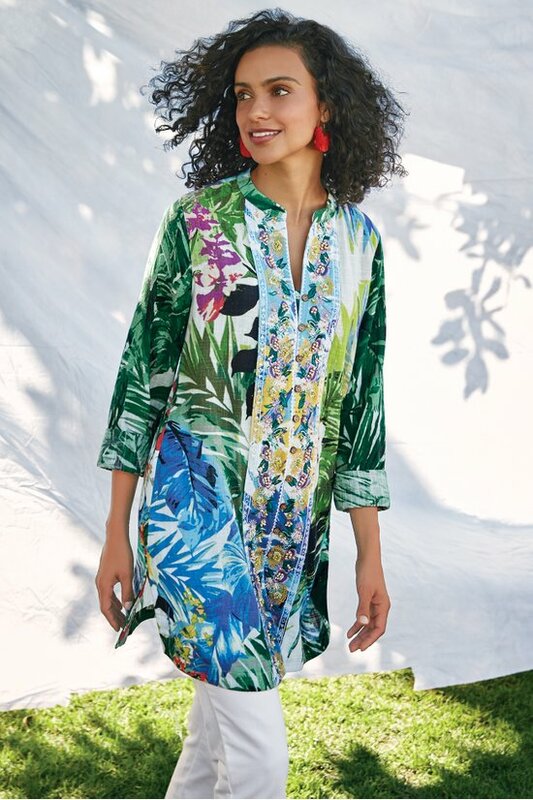 Transport yourself to paradise with this envy-worthy tunic featuring an exotic island print accented with rich floral embroidery, seed beads and coconut buttons. Side slits, long sleeves. Misses 31" long.